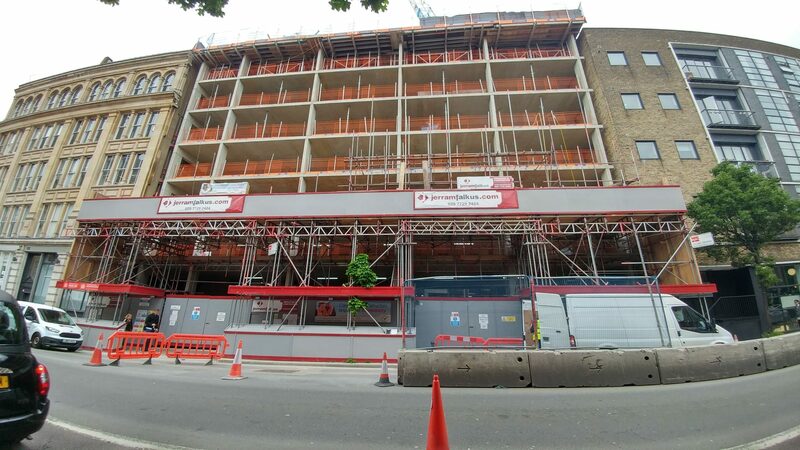 This New Yotel #ClerkenwellHotel development in the heart of london is a great chance to show off our high calibre staff and high quality finish trades. 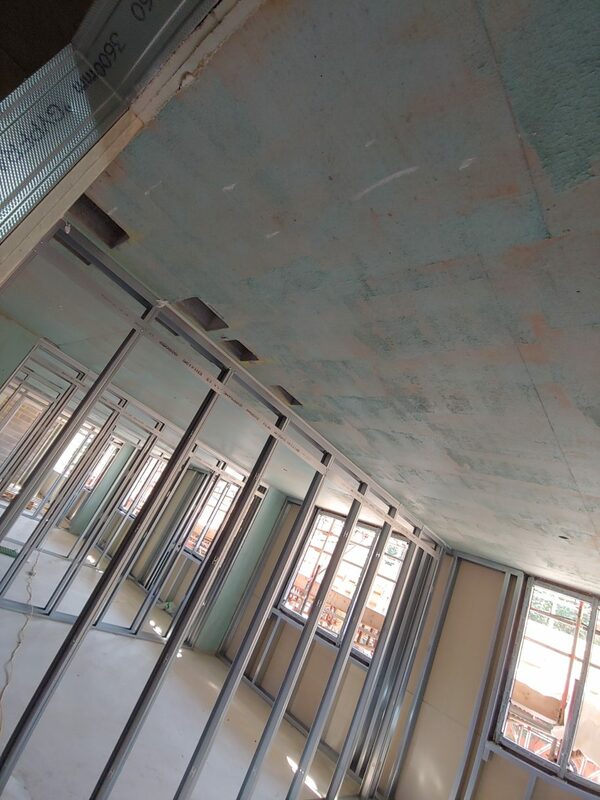 We will be skimming all the plasterboard surfaces once we have finished fitting the remainder of the 36,000m2 of plasterboard being supplied and installed on this project. 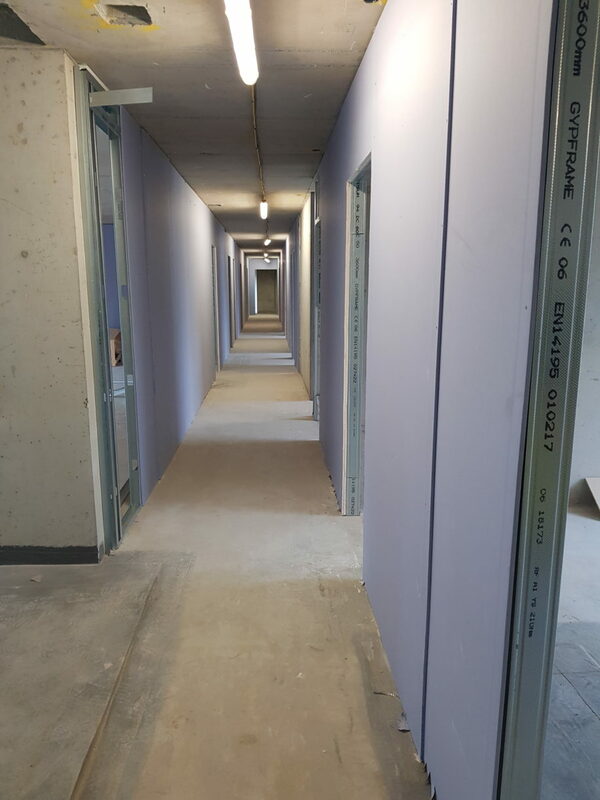 We are progressing well with the internal drylining package for Jerram Falkus who we have been together with for the last several years and we are continuing to develop and strengthen our relationship with this fantastic team. 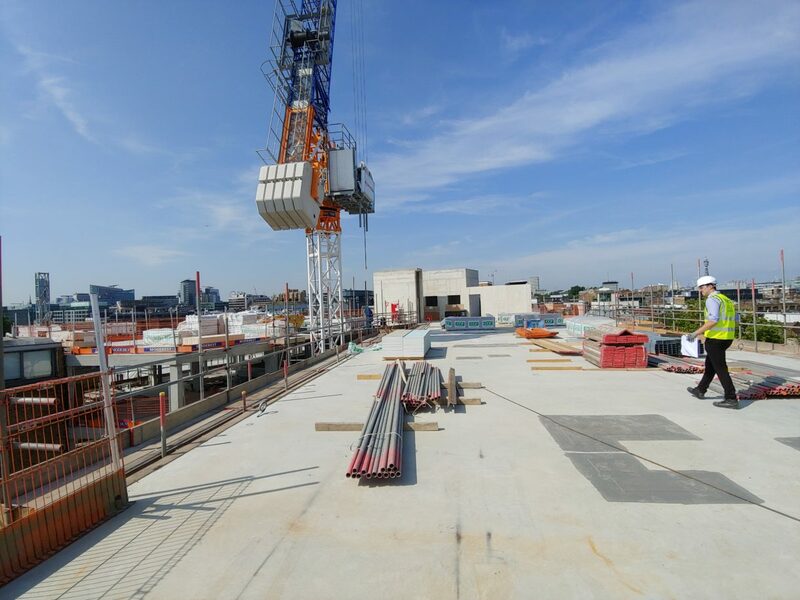 This 212 bedroom Yotel Hotel is their first London city centre development and also has some residential apartments built within and amongst the hotel rooms is in a very sought after area of london where you can appreciate prices are at a premium. Yotel also have hotels in Paris, Amsterdam, New York, Singapore and are currently expanding across europe and the world. Yotels new concept for premium rooms at budget rates provides high quality finishes in slightly smaller rooms. 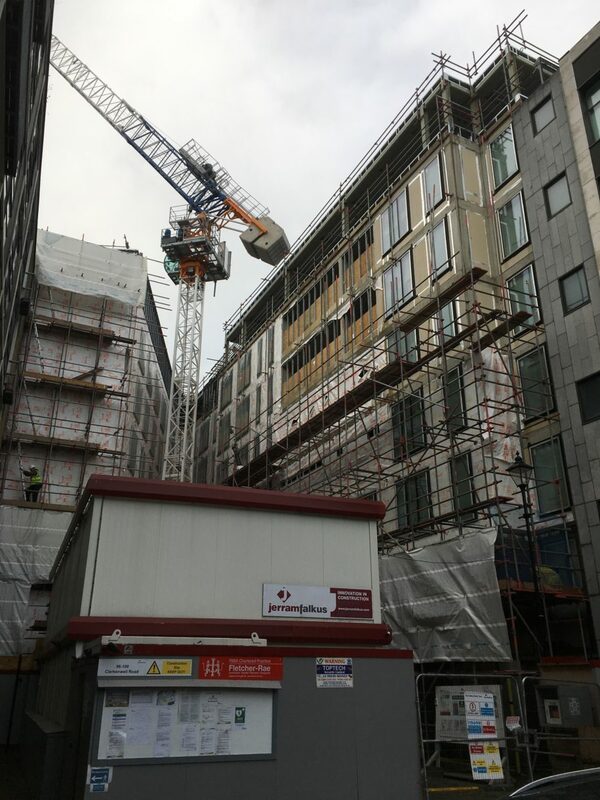 This hotel project will sit alongside our other hospitality projects for the likes of Hilton, Marriot and Raddison Blu. We were selected from a number of contractors based on our experience and quality of finish and we are incredibly proud of this. #ClerkenwellHotel project is a standard full British Gypsum specification with a few more party wall construction details. This is due to the noise reduction requirement of the walls between each hotel room. #ClerkenwellHotel is a 7 storey building has incredible views from the roof and on a sunny day you can see for miles across the rooftops of London. We are also currently working on another Jerram Falkus project, more information can be found here.